Ever since I worked for a mobile augmented reality company a year or two ago, it has been a fascination of mine. The ability to overlay reality with digital information to find a restaurant or a subway, see where friends have been and left notes, or just play games in a digital space while interacting with reality takes our information and creates a whole new reality around it is amazing, and it can be done now with the smartphones we already own, like the Droid. All the apps listed below can be found by searching the Android Marketplace for them or by clicking the names below and scanning the QR code with a barcode or QR scanner. These apps should show you a whole new way to interact with the world around you, or at least show you some cool stuff. Augmented Views – If you live in Toronto, get real time traffic updates and views from this AR app. 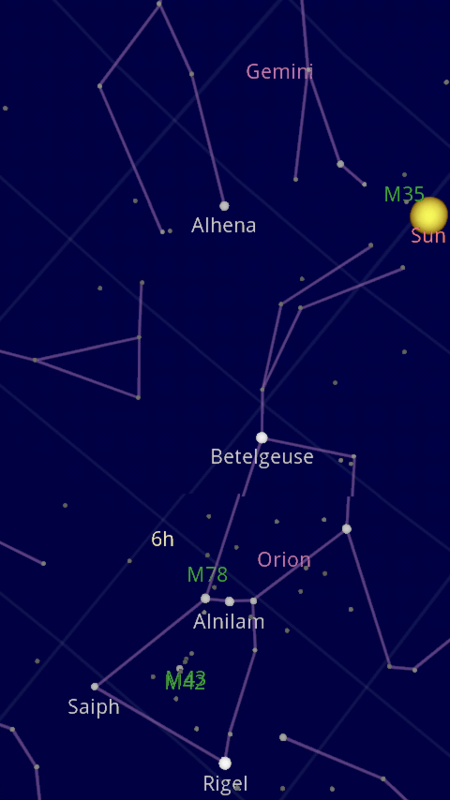 Google Sky Map – View the constellations overhead or search for heavenly bodies using this app from the same people who brought you the Android OS. Junaio – Create and share content channels based on locations and objects or view existing ones by pointing the phone at something. Kakinada Augmented Reality – Classifieds, Yellow Pages, Movies and Events based on your location. Layar Reality Browser – A variety of information can be seen by activating layers in this browser to gain all types of information around you. This is the AR app to get if you only download one. Mixare – An open source Augmented Reality engine to display wikipedia entries around you. My Augmented Reality – Place markers over reality with your phone so you can track and find locations to avoid getting lost or losing things. PlinkArt – Take a picture of a painting and be returned the name of the painting, the artist and some additional information. Space InvadAR – Steep at $25, but point your phone at a picture of the Earth and then shoot down unending waves of aliens as they attempt to invade. Tagwhat – A social networking app that allows you to place tags and allow your friends to see them in space. Wayfinder NYC – Find the nearest New York City subway or PATH station by map or by overlaying the camera view of your surroundings. Wikitude – Gain information about the sights around you. Seems like a great app for traveling to foreign cities and wanting to learn about the buildings and landmarks as you walk. Zagat nru – Scan the area around you to find the best of restaurants and nightlife from the people who bring you the guide to such things. Augmented reality is still a nascent technology that most people aren’t aware of and do not interact with on a regular basis. With time and technology, I am sure augmented reality will gain a firmer foothold, but it needs to be more ingrained in the phones instead of forcing people to search for apps that they do not know exist. Personally, I look forward to the day when AR is integrated directly into a pair of glasses and overlays the world in real time.